Welcome to the Winnipeg Jets Memorial Site, dedicated to preserving the legacy of the Winnipeg Jets, who played seven seasons in the WHA from 1972 to 1979 and 17 seasons in the NHL between 1979 and 1996. Stu Barnes scored 2 goals in his only game against the Tampa Bay Lightning in 1993-1994. Click here for your Jet of the Day. May 24 2015 Read about the team that came after the Jets in View from Section 26, a fan's look at the minor leagues featuring pro hockey's most unwanted team. Feb 7 2014 NOW AVAILABLE: Coming Up Short, the comprehensive history of the NHL Jets. Click here for purchasing information. 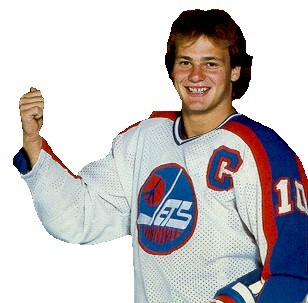 Jun 9 2013 My book on the WHA Jets now available on paper. Please click here for purchasing information. 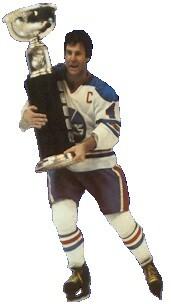 Dec 12 2010 My e-book featuring a detailed history of the WHA Jets available for sale here. Click here for what's new.